What makes the review fantastic? Well, it was written by author and writer, Sacha Z. Scoblic, who has some fantastic credentials, and she has a unique take that a ton of self-publishing writers will relate to. "Stray is about addiction, yes. But mostly it is about relationships and the bonds that keep us all from going astray. Whether it's your wife or a hardscrabble mutt on the side of the highway, it's the connections to other creatures in the world that give us our forever homes. The writing here is clean, vivid, and wildly empathetic to all the beasties who take shelter in communal spaces. Stray sings. A note about the form: Self-publishing and e-books have opened the floodgates for writers everywhere to express themselves to a wider audience and even to compete alongside traditional publishers and books made of trees. That's good news for undiscovered talent and hungry readers. The bad news is that far too few people will find Stray. In a world without gatekeepers, well, there are no gatekeepers. And sometimes those self-published e-books still deserve the imprimatur of a good house of letters, a good review, a good ad, a good shiny spot on the virtual shelf--that is, the imprimatur of a gatekeeper. 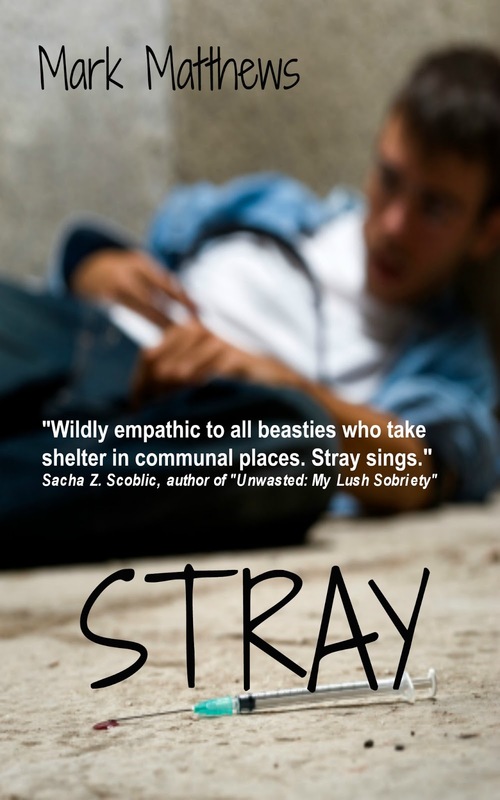 Stray is an apt title for a book that once upon a time might have found a home in traditional publishing. Luckily, as so many of Stray's characters find out themselves, a home can come in many unexpected and nontraditional places." Labels: sacha z. scoblic, self-publishing, Stray, unwasted.